Last Friday of the month means it's time for another update day. In case you're wondering what I'm talking about, a group of us have set some crazy/very important goals. Then on the last Friday of the month, we post updates on our progress. You're welcome to join, if you want. All you have to do is click here for more details. As you guys might remember from last month, I got a major contract that's really a massive jump forward for me. This was the first full month I did this, and guys... I just really love it. More than that, though, I'm proving myself to be more and more inexpendable by being able to understand economics, write articles, and read French. That last one seems to be especially handy, since the company I'm writing for is active in Africa, which has large francophone portions. As a result, the source documents I have to use in creating my articles are all French, and it looks like no one in the comms department (which is what I'm contracted to) can read it. At any rate, this job has proven to be basically the only one I've ever done that has my brain firing both hemispheres. So yeah, it's awesome. 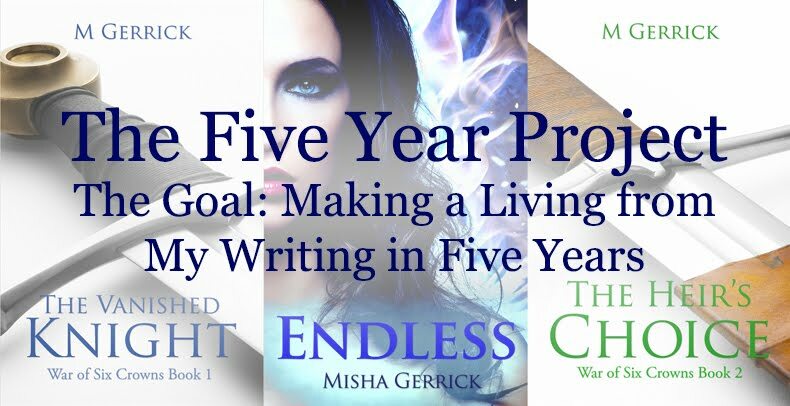 Also awesome is that it totally does count as using my writing skills, which means that as of this month, I'm just under halfway to my five-year monthly earnings goal. Overall, though, I can say that my life is the best it's been in... about four years. Although there are some major unresolved issues, it just becomes so much easier to cope when you're making decent money. But there's a bit of a storm brewing, namely a massive and growing frustration at the fact that I'm not able to work on my own stuff as much as I want. See, when I was beyond stressed out 90% of the time, a lot of my creativity just... vanished. Now I'm unstressing and it wants to play. Don't get me wrong, it's loving the day-job right now. But let's just say my muse is a bit pissed that I'm not making massive progress on my own books. For this, though, I can't blame the job. I'm just super busy all of a sudden. A lot of new opportunities are opening up for my family so, as the only one who's "accounting literate" (as in able to tell the difference between debits and credits), I have to pitch in a lot and help. On top of this, I'm making a seriously concerted effort to brush up on my French. One reason for this is the French reports I have to read. The other is that I got sponsored by someone to go to France for ten days in August. (!!!) We're going to a rural area up north, though, and will be living with people who really aren't all that good at English, so I'm doing as much as I can to be conversant in French. I've kept up my vocab for years by reading French, but because I don't have a lot of access to French speakers, I'm seriously rusty on the speaking part. You know... just having the ability to spontaneously convert your thoughts into speech that the other guy understands. The French trip also meant that I had to renew my passport (because of course it would expire the one time I really don't have time to renew it), and will mean that I have to get my visum. Sigh. So all in all, my life is still getting in the way of my writing, but just in a good way. This month, though, I really really want to finish revisions to Book 3. It's been languishing long enough. I'm just going to make that my goal for July. What about you guys? How are you doing? Any goals achieved, since we're at the halfway mark? 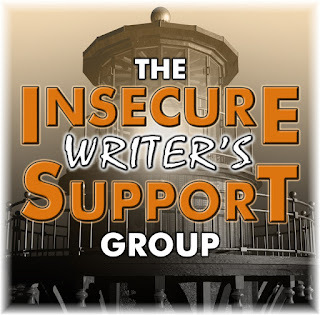 On the first Wednesday of every month, a sizable group of us writers take part in the Insecure Writer's Support group. We share our insecurities, because in the end, it helps us to realize that we're not the only ones feeling the way we do. If you want to check out the bloghop or sign up, you can find information here. Also, if for whatever reason you prefer Wordpress, you can find this same post here. One of the major highlights of May was that I signed a contract with a major company to help create their content. It actually suits me perfectly because I'm using my degree and my writing skills together. For now, the contract is basically a test run until December, but given how happy the lady in charge of my work is, I'm starting to feel secure in the fact that an extension past that is probable, even likely. It's really strange to think that I'm this excited about the job, because it was so not what I had in mind when I started freelancing, but my brain is really enjoying the chance to use both hemispheres at the same time, since I have to be both analytical and creative, reading reams of reports and pulling all that information together into articles that people that haven't read those reports can understand. Well. In the fact that for the past two weeks, I've been sleeping through those writing hours, which means I'm still struggling to fit everything into my schedule. The overall result was that my sleeping patterns shifted to hours inoptimal to my writing. I went to bed at 2 a.m. and woke up at 8, maybe 9. Then I'd work from about 10 a.m. to as late as 11 p.m., and veg out until 2 a.m.
Because a lot of the stress points in my life have lifted, which leaves me wanting to work on my own stuff. Thing is, if I want uninterrupted writing hours, and I do, I need to wake up at 6 a.m. It's a simple thing, really. In theory, I should get to bed at around midnight and set my alarm. So now I'm going to move my hours some more and get to bed by 10 p.m. but it remains to be seen how that works out. How do you guys on Daylight Savings Time manage to shift your sleeping patterns? It shouldn't be that different from what I'm trying to do.